> Dashcam wiki> Dashcam legal? Is a dashcam legal? The legality of a dashcam is sometimes questioned when people are about to buy a dashcam. Earlier we've posted an article about the legal validity of dashcam recordings, where we gave some tips for using dashcam videos in a court of law. Still, questions remain about the legality of a dashboard camera. Register a dashcam at the local police station? The most common fairytale about dashcams is that they should be registered or declared before you buy them. This is absurd; a smartphone of portable camera isn't required to be registered either. You can record with those devices as well. Only security cams require registration in some countries. These are installed to register nuisances or maintain public order and they collect legal information (not personal information). A dashcam can't be regarded as a security camera because it is installed in an enclosed space (your car) and its goal isn't maintaining the order, but to record personal events (just like your smartphone or portable camera). You do record some legal information, so the privacy commision has a solution! The video recordings are used for managing your own disputes, like when having a car crash. Respecting proportionality. Simply put: erasing old recordings when nothing important happened. Good news: all dashcams in our webshop come with the feature of cyclic recording and will overwrite old recordings automatically when the memory card has reached its storage limits! Law of providing information. Simply put: after having an accident you should immediately inform the other party that you have a dashcam. Just point to your dashcam to make it clear to the viewer of the video that you informed the other party. Take the necessary precautions. Simply put: make sure your videos won't end up in the wrong hands. Reporting. Wait a minute... that wasn't required, right? Indeed: if you don't report it, the dashcam video will not be usable as direct evidence, but in most cases (and ever more often) dashcam recordings will be used as additional evidence because most of the time the recorded offences are considered heavier than not respecting the "reporting" part of the Privacy Act. You want to be a 100% sure? Then you should report the dashcam on the website of the privacy commision. 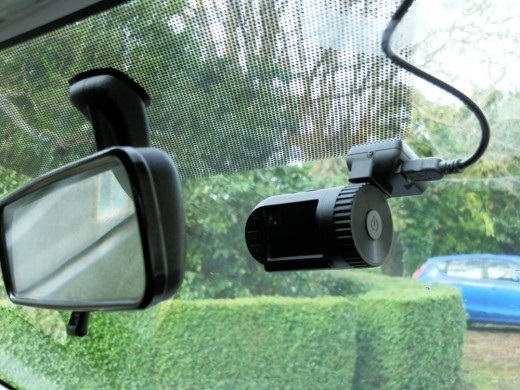 You will need to pay a small fee, but you will be sure your dashcam videos can always be used. The price is around 25 euros. “Filming an offence is something every citizen has the right to do, but he should only take it to the authorities, and not post it on social network sites. The consequences of posting the videos online are not to be underestimated”, says spokeswoman Eva Wiertz from the Privacy Commision in the newspaper De Morgen. Don't put dashcam recordings on the Internet without a good reason. Use your common sence and only keep recordings for insurance purposes and the authorities. If you really want to upload the videos, you can blur out or pixelate faces and license plates. Common sence is not only important for the owner of the dashcam, but also for insurers, authorities and judges. More and more these parties will accept dashcam videos, because they have the power to clear up the circumstances of accidents, road rage and the like. If a driver is fined for having a dashcam, then every tourist with a camara should be fined as well? There are other people recognizable in their pictures and videos and they should also be blurred. Let's be honest: this just doesn't happen. Another example: a deadly accident, a terrorist attack or a murder happens. Nobody will even think about the legallity of a dashcam video that clearly shows the murderer! The dashcam video will be used in a court of law to prosecute the murderer! 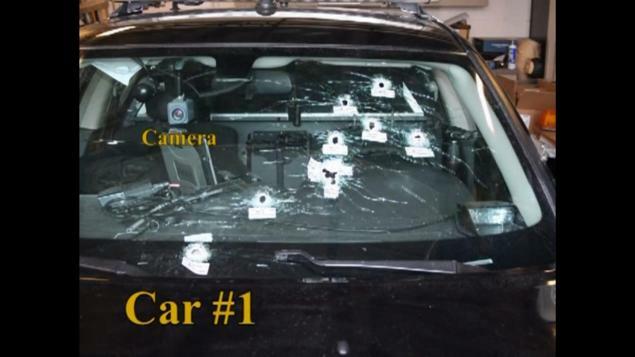 The videos of this dashcam were used when police agents were shot to death in an attempt to arrest a criminal. Let us think about the practical side. How many times after an accident or crime you hear: "The exact conditions still need further investigation", or, "The exact cause of the accident is still not clear"”. Out on the road alone and something happens? It would come in handy if investigators would be able to find the exact cause. I would say that using a dashboard camera is recommended for everyone. Furthermore, in the USA they are thinking about making dashcams mandatory in 2014 in all new cars. Another example is the fact that road rage will undoubtedly decrease when everyone is aware that he or she is being filmed. Belgium, but also the other European countries have lessons to learn from the United States in terms of Privacy versus common sence. The Privacy Commision is an advisory body and not a judiciary that makes binding decisions. The opinions of the Privacy Commision might differ from the opinion of the judge. 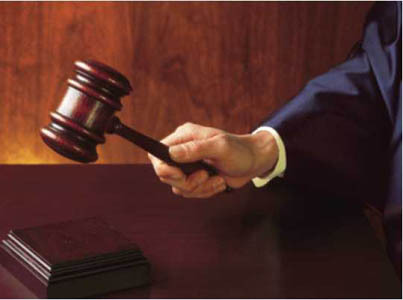 In actuality judges will rule in favor of the dashcams owner more often than not. Privacy is about people. Recognizable cars don't have anything to do with privacy. Furthermore there is the right to gain information and newsgathering or simple put: Everyone has the right to use a camera to record certain newsworthy events.